Our ‘Workplace Conflict Resolution’ courses combine expertise from psychology, cognitive behavioural therapy and mediation with practical tools to develop confidence and competence with effective conflict resolution. The skills taught are crucial leadership skills for reducing distress and promoting harmony essential for team building and corporate wellness. This program teaches invaluable communication and collaborative solution method which are key for reducing employee stress and improving workplace well being. This 1 day program is available for groups, or as individual coaching, and can be offered on site or as online coaching. A safe, supportive and fun training space. Causes, effects, attitudes & responses to conflict. 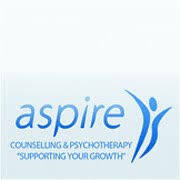 For information about Aspire, please visit our Training Provider page on Corporatetraining.ie by clicking here.